The kids will be out of school for summer break in no time! 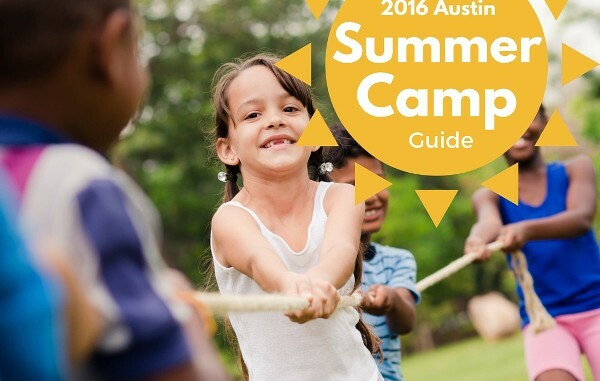 Get a head start on planning out their camp schedule with the 2016 Austin Summer Camp Guide. American Robotics Academy aims to excite, inspire, and motivate children about the importance of robotics technology. Our hands-on classes offer an introduction to the fundamentals of engineering design, helping children understand “how things work.” Held in a friendly, sports-like atmosphere, students work in age-appropriate teams and learn how to design, build and test remote-controlled miniature robots. We use simple, motorized machines – all made from LEGO® bricks! 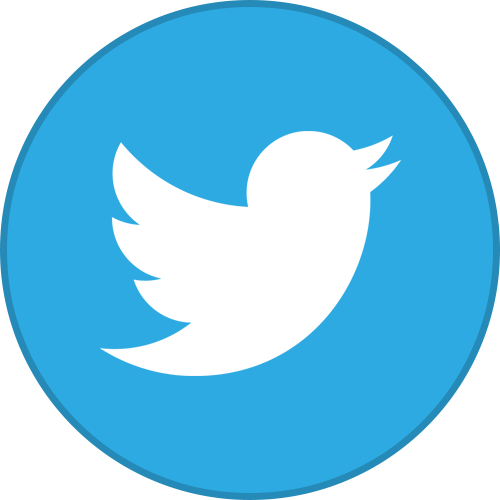 – to demonstrate mechanical movements and other effects. Art Amore Summer Camps are a chance for young artists to submerge themselves into creativity. Each camp has its own unique theme that will allow us to explore art ideas, techniques and concepts in different and fun ways. Like our classes, our summer camps strike a balance between learning technique and developing the creative spirit. Camps are designed for a wide age range with multiple experienced instructors on hand. Each camp will end with a canvas masterpiece incorporating what we have learned throughout the week. Dates: Art Amore holds week long art camps all summer long from June through August. Cost: Camps range from $190 with multiple discounts available. The Artery is a fine arts camp that focuses on process over product, encouraging each child’s creativity and unique voice to shine through their work. The artery has weekly themes of puppets, theatre, art & math, art & nature, fiber arts to provide children with exposure to a variety of fine arts. Campers are encouraged to explore big ideas and make real world connections. This cap is on the beautiful campus of Four Seasons Community school were children can spend plenty of time in shaded outdoor areas. Calling all creative, comical, and charismatic kids! Join us for weeks of artistic fun! Dabble in theater and story-telling, art and music and performance. Or spend the days sharpening your acting skills as you work towards the goal of putting on a fully produced play or mini musical! Invite family and friends to the final performance. Make ‘em laugh and make ‘em cry as you show off your talents. It’s Austin Sailboat Rentals fourth year at teaching both boys and girls how to sail or sail better, and we’re offering spring and summer sailing camps this year on two beautiful lakes, Lake Austin at the Walsh Boat Landing and Lake Travis at Bob Wentz Park. Camps have a certified US Sailing instructor, certified lifeguard, and one counselor per five camper ratio, so your kids are not only going to learn how to sail the right way, they are going to be safe, while having a whole lot of fun! 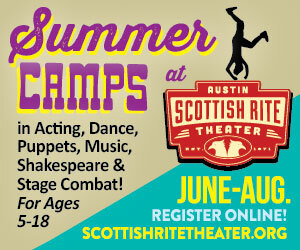 Austin Scottish Rite Theater’s summer camps offer week-long exploration of various performance topics: Acting, Music, Dancing, Puppetry, Shakespeare, and Stage Combat. At week’s end, campers will present a showcase performance on the historic Scottish Rite Theater stage. Imagination in Motion Camp, ages 4-8—Adventure Under the Sea or A Wildlife Safari Bring your imagination and let’s put it in motion! The Adventure Under the Sea Camp takes kids on an underwater journey as they dive into a world of jellyfish, dolphins, octopi, and turtles. And The Wildlife Safari takes kids on a journey through jungles, deserts, and forests as they discover many exciting animals of the wild. The Broadway Kids Camp, ages 5-10—Broadway Favorites or Disney Favorites The Broadway Kids, is a fun-filled week discovering the many aspects of musical theatre. Children will learn kid-friendly choreography and favorite songs from well-known Broadway musicals including Broadway Favorites or Disney Kids on Broadway. A Dance Discoveries Camp, ages 5-10 — Tchaikovsky Classics The Dance Discoveries Tchaikovsky Classics Camp is designed to give children the opportunity to discover dance and movement, create visual arts and learn about famed ballets such as Swan Lake and The Nutcracker. The Broadway Experience, ages 10-14 — Musical Theater The Broadway Experience focuses on the ins and outs of musical theatre with a grand finale showcase. This camp will include improvisation, theatrical games, learning lines, and plenty of singing and dancing, all wrapped around the music of iconic Broadway shows! The experience includes sports, friends and fun in an inclusive environment. Campers participate in individual and group activities with Dell Children’s pediatric physical and occupational therapists and YMCA program staff. Sports, music, dance, martial arts, daily pool and water activities, and more! End of camp award ceremony. Camp in Motion is designed for kids ages 7-21 with cerebral palsy or other similar neurological diagnoses. 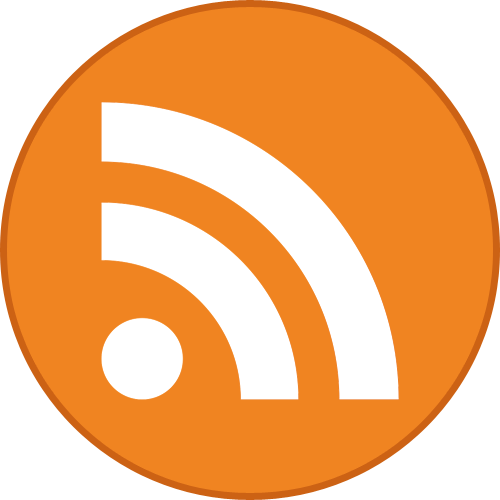 Cost is $765 per week, which can be submitted to most health insurance plans. Also note that scholarships are available. The Coach Z Basketball Camp is hosted by Coach Zenarae Antoine (Coach Z), the head coach of the Texas State Women’s Basketball team. There are a variety of camps for all ages and skill levels, from Pre-K to 12th grade. All camps provide the opportunity for young girls and boys to learn basketball skills, be competitive, and have FUN! 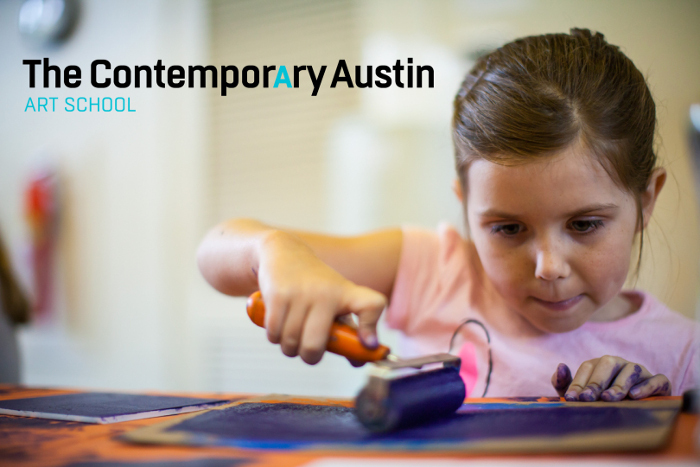 At The Contemporary Austin Art School, summer is filled with almost 200 art classes for every age from preschool to high school and college prep. Our professional faculty help budding artists of all interests and levels enhance their perceptual and technical skills while enjoying the beautiful, lakeside 14-acres of Laguna Gloria. Students marvel at native plant and wildlife species that call Laguna Gloria home and find inspiration from contemporary sculptures by artists from around the world. In half-day, week-long morning and afternoon classes, our faculty take advantage of the nature and art at Laguna Gloria as subject matter and inspiration. This year’s offerings include drawing, painting, ceramics, sculpture, claymation, and mosaics, to name just a few. We are especially proud to bring back Creativity Camp: New World Kids, an innovative two-week immersive experience where children ages 5-6 playfully learn the “Sensory Alphabet” to expand their creativity and discover a new way of looking at the world. New this year are special classes for teens in woodworking, metalworking, and printmaking. Cost: Varies per class. Please visit our website for details. Museum member discounts available. Creative Action Summer Camps are among the most popular in Austin! That’s because our camps are not just fun; they also offer children, ages 5-14, our summer enrichment curriculum based on Creative Action’s 4C principles of creative youth development. We aspire for our campers to be Creative Artists, Courageous Allies, Critical Thinkers, and Confident Leaders. Whether your child is a quiet, “behind the scenes” player or an outgoing, “center stage” star, there is a place in every camp to nurture their skills and talents! Join us this spring break or summer for full-day camps like Game On!, Movie Magic, Broadway or Bust, Tastes of Texas, and Art Avant-Garde. Campers will work with professional artists on weekly projects that include film, mural-making, writing, podcasting, comics, gardening, cooking, dancing, and singing. Each week has a different theme sure to keep your child engaged and excited about coming to camp. Creative Side Jewelry Academy, the top jewelry crafting and metalsmithing school in central Texas, is now offering week-long Summer Camps (ages 10-15). These camps will provide a safe and creative environment where teens have the opportunity to learn fundamental metalsmithing techniques using copper, brass and silver. The class is led by professional artist and educator. Under her guidance, students will increase fine motor skills while learning to make sculptural jewelry pieces. They will learn sawing, riveting, filing, hammering, drilling and finishing skills, and much more. Students will create multiple pieces throughout the week and be encouraged to develop their own design skills. We have two different camps to offer this summer. The first happens in June, called The Torch, which will cover projects such as rings, a pendant in precious metal clay, a saw and pierced cuff, and riveted jewelry. The second is in July: All About Stones! Learn several stone setting techniques to create a ring, bracelet, and pendants. The Creative Side family is excited and honored to open up this world of jewelry making and these ancient techniques to your budding artisan. The gratification the students receive after creating their own design from start to finish is irreplaceable. Creative Side will host an end of the week art show to be named and set up by the kids where parents and family will be invited to join us at the end of the day on Friday to meet the instructors, new friends and view their artwork on display. These kid-focused summer camps are open to ages 10-15. Metalsmithing and jewelry crafting takes a certain set of skills, level of maturity, and ability to focus and take instruction. Fantastic Magic Camp – Teaching life skills and confidence through Magic, Juggling, and Puppets to kids ages 5 through 12 in Austin, TX since 1993. Imagine a place where… Kids discover their unique inner Magic through learning magic tricks. Campers are surrounded by people both young and old who recognize and embrace that uniqueness. A shy little girl learns to express herself through the actions of a puppet. Both the timid and adventuresome discover that they can master things they never dreamt they could do, like making cards appear out of thin air, balancing on stilts and riding a unicycle. Children get to engage in robust physical activity and games without ever worrying if someone will pick them to be on a team. Every day is filled with fun, laughter and lots of surprises. Everyone makes friends and learns to care for each other, because nothing else makes sense. …that is Fantastic Magic Camp, where, after nearly a quarter century, we continue to work Magic with kids! Discount: 10% off if using discount code LIVEMOM16. Sibling and multiple session discounts also available and calculated automatically when registering! Girls Empowerment Network’s summer day camp, campGEN, serves girls in grades 4-8. campGEN girls participate in fun, interactive workshops during week-long sessions that are designed to help girls feel more confident as they navigate girlhood. Girls will gain new skills, new friendships, and a new sense of self! June 20-24: Calm, Cool & Creative- The camp will explore different ways to overcome stress, anxiety and daily pressures. Girls will learn the importance of self-expression and self-care. Activities include yoga, art and craft projects, healthy cooking, writing, storytelling and games. July 11-15: Strong, Bold & Assertive- This camp will help girls find their strength and inner confidence. Girls will lean how to project a confident attitude and assert themselves when the time is right. Activities include role plays and skits, a fun community advocacy project and lots of games! July 25-29: Relate, Motivate & Celebrate- This camp is all about celebrating our differences and discovering our identity! Girls will learn about self- awareness, the importance of diversity and different cultures across the world. 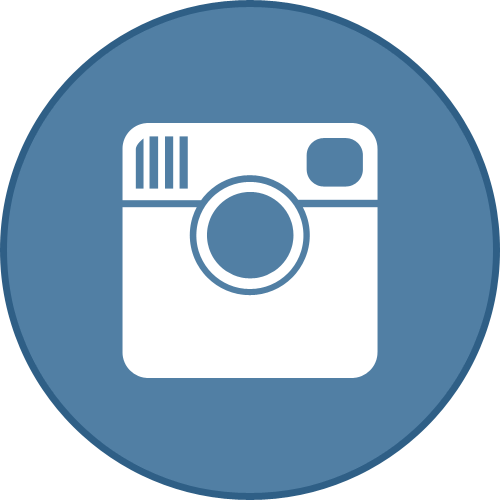 Activities include arts and crafts, guest speakers and special surprises. Time: 9:00am-4:00pm (drop off begins at 8:30) *Aftercare available until 5pm for $50 per week. Lunch will NOT be provided – girls must bring a sack lunch. Daily snacks will be provided. “Don’t just dream of a whole new world. Write one.” For beginning writers, budding novelists, or aspiring screenwriters, Kids With Pens offers week-long creative writing camps led by published authors. Each day includes innovative and inspiring writing prompts and lessons on the fundamentals of storytelling. Campers will craft stories, poems and plays, all while learning splendiferous new vocabulary words. They will share their work with one another, strengthening presentation skills and boosting confidence. 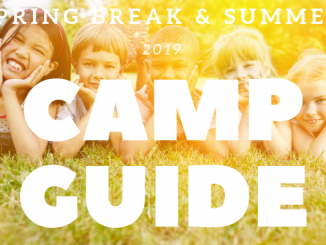 All campers will be published on the Kids With Pens blog at the end of the summer, allowing them to brag to their friends that they are published authors! 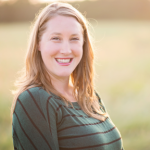 Kids With Pens workshops are led by professional writers, including the founder, Carolyn Cohagan, whose novel The Lost Children was chosen to be part of the Scholastic Book Club in 2011 and was nominated for a Massachusetts Children’s Book Award in 2014. 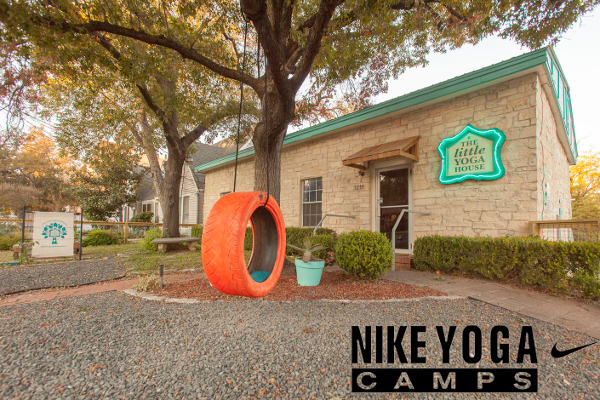 The Little Yoga House hosts Austin’s first Nike Yoga Camp for Kids! The Little Yoga House has provided an encouraging yoga environment to Austin’s local youth since 2010. Co-founders Abby Nagler and An Dang bring high-energy and backgrounds in kids yoga instruction to educate youth on yoga’s athletic benefits through fun sequences, crafts, and games. Open to kids of all skill levels and abilities, camp will focus on a specific theme each day and cover a wide range of activities from basic pose sequences, yoga games and team building exercises, strength and conditioning techniques, discussions on sport injury prevention, nutrition and stress management and more! – Each camper will receive a Nike Yoga Camp T-shirt and fun prizes! Experience the joy of music making in small groups with experienced, friendly teachers. Students engage in many different activities which build rhythm, pitch, reading music and more. Students are broken into small groups by age and ability where they can build musical friendships and joyfully learn to communicate through the beauty of music. 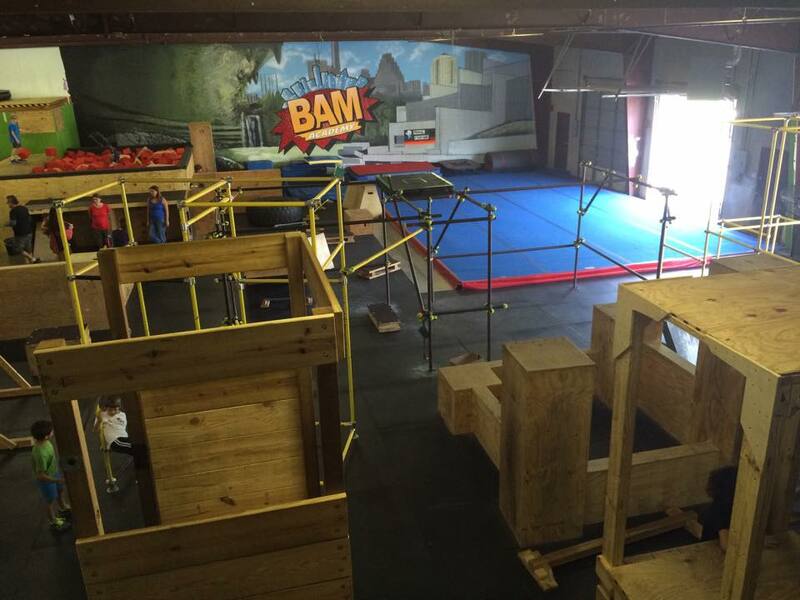 Parkour: BAM Academy Parkour Camp is a 5 day SUMMER camp in Austin where your kids get to experience our dynamic Parkour Space. Your kids will not only have fun but will also learn the safety behind getting over, down and up obstacles, with some acrobatic skills and awesome parkour games and challenges thrown in. Light Saber: With our Lucas-certified Light Saber coach, we will teach you from making and brandishing your Light Saber to showing the ways of the force. Come to BAM Academy to learn Jedi fighting forms and choreography from the movies. This is a must do camp in Austin! American Girl: Pack your American Girl Doll and accessories and come to the fun-filled American Girl Doll Camps. Don’t have an American Girl Doll? Don’t worry! Any 18″ doll will do. These fun camps for 5-11 year olds will explore the experience of American girls from colonial times to the present through crafting, games, and theatre! We will be learning history through games, stories, crafts, and lots of cooking. Victorian tea party and demonstration on what they learned on Friday. Harry Potter: Campers will be immersed in the fictional world of Harry Potter. They’ll start off by being sorted into one of four houses. During this magical week students will experience Potions Making, Potter Production, Charms, Muggle Magic, Care of Magical Creatures, Quidditch and plenty of games that will give them chances to earn points for their houses. Who will win the House Cup? Discount: Mention this ad for 10% off! Expand your child’s mind and taste buds this summer with our deliciously fun week-long cooking camps. Our hands-on cooking camps combine culinary techniques, locally-grown foods, and fresh flavors as we create sweet and savory recipes from scratch. Younger chefs will focus on kitchen basics while older chefs will learn more advanced culinary techniques. Games, challenges, crafts and gardening will be incorporated to spice up each camp. Our professional team of culinary instructors and assistants will help create a memorable experience for your chef! Ages 3-teen. The Round Rock Express baseball camps offer big-league quality instruction on the fundamentals of the game of baseball. Express baseball camps range in ages and offer opportunities for all skill levels. We pride ourselves on providing high-level baseball instruction from knowledgeable and experienced coaches. Express camps aim to develop the complete ballplayer by not only focusing on the physical skill sets, but leadership and mental skills as well. Leading the staff is former Alvin Community College Head Coach Bryan Alexander, who is entering his 2nd year with the Express after coaching college baseball for 22 years. Other coaches include Cedar Ridge Head Coach Daryl Reeves and Laredo United Head Coach JJ Gomez who serve as lead instructors and bring a wealth of knowledge and experience to the Express camps. Former MLB pitchers Travis Driskill and Brian Gordon round out our outstanding staff. Express camps also partner with the A-C-E Mentoring Program, which gives local high school baseball players the opportunity to further develop their skills on the field while at the same time serving the great community of Round Rock as mentors at our camps. Fun weekly themes include animals, science, pottery, music and more! Healthy snacks are included and lunch is available for purchase at an additional cost. Perfect for ages 3 and up. Part time: 8am–Noon or 1–5pm; Full time: 8am–5:30pm. 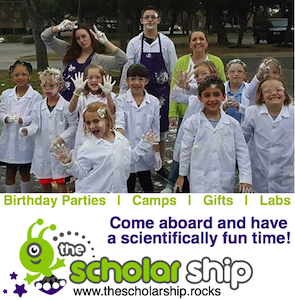 The Scholar Ship is a science lab and toy store for kids ages 4-12. Our goal is to build on a child’s fascination with the unknown, using familiar, fun, hands-on activities to inspire them to think creatively about the world around them, and to lay a foundation for lifelong love of science, technology, engineering, and math. The Scholar Ship weekly camps will focus on a new area of science, working towards mastery of the subject by week’s end. Snacks, drinks and take-home kits are included in cost. Our comprehensive camp experience is designed to hone music performance and ensemble skills in a creative and fun environment. We use Rock ‘n Roll to teach guitar, bass, drums, vocals and keys, culminating in an awesome live show on the final day! Our camps cater to rockers aged 6 – 18 of all levels of experience – from beginners who are brand new to their instrument through to more experienced rockers with some experience under their studded belts. Songwriting Camp – 1 week focused on learning how to write your own music for intermediate/ advanced, ends with recording of your own track! R(E)volution of Metal – 1 week Performance camp for intermediate/ advanced. 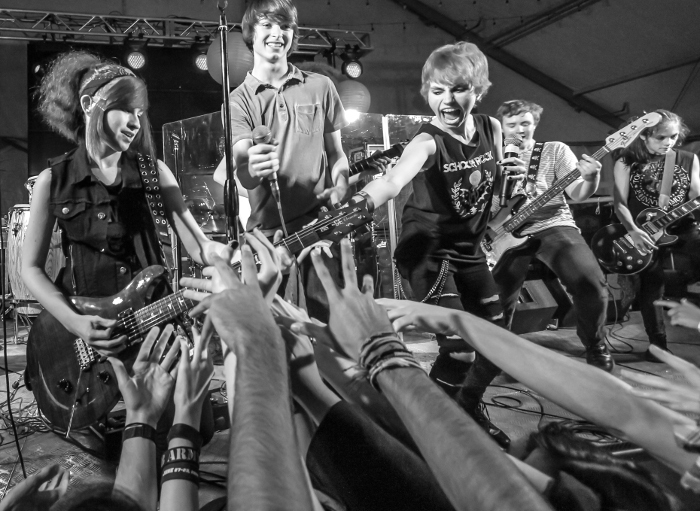 Blues: The Roots of Rock & Roll – 1 week Performance camp for intermediate/ advanced. Discount: Enroll before April 1 and receive 20% off full price. One week camps normally $550, $440 with discount. Two week camps normally $1100, $880 with discount. How many of us wonder if we could have been really great at some type of craft or skill, given an earlier start? Sherwood Forest Summer Camp attendees have the rare opportunity to try their hands at many crafts and skills that are no longer widely known. It is amazing what new things a child can learn when you take away the distractions of modern technology and put them in a room with a skilled teacher. All of our hands-on activities take place in our 23-acre medieval village. Campers are transported back in time to a world of knights, ladies, and a simpler way of life. Campers work with their hands to create useful tools and learn skills essential to daily living in the Renaissance. No modern entertainment devices are available and our campers never even realize they’ve left them behind. Cost: Tuition per child per week: $795. Your $300 deposit is due with the camper’s application, and the balance is due by May 31st. Multiple discounts available. Offering fun summer Spanish Enrichment classes! In these classes children will acquire Spanish vocabulary, conversational and reading skills, and pronunciation through engaging and exciting activities. Daily lessons include: singing, movement, speaking, hands-on games, student-teacher interaction, and more! The program is divided into stimulating weekly units – students can join at any time and at any level! Sportball teaches the basics of Sports in a fun and creative way! o What a fantastic experience for a child! Available in full-day sessions as well as morning or afternoon half-day sessions. Sportball camps focus on the eight core Sportball sports including hockey, soccer, tennis, baseball, basketball, volleyball, golf and football as well as arts and crafts, snack time, stories, music, co-operative games and theme days. Camps are run indoors and outdoors, depending on the location and weather. At Summer Spark day camps, your children come alive as they engage in weekly creative problem solving challenges. With packed schedules, powerful media everywhere, and performance pressure on schools, we believe that a fundamental component of a strong foundation is missing in the lives of many children today. The ability to tackle a problem with no set solution – to think creatively and flexibly, to struggle, fail, and try again, to test, revise, and reiterate. At Summer Spark, we strive to fill this gap. We are all about physical experiments, purposeful tinkering, messy construction. Creativity Unplugged. 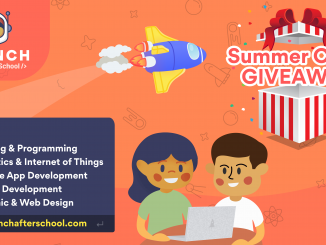 Each week at Summer Spark features a different challenge which provides the opportunity to boost the 3Cs – creative problem solving, collaboration, and confidence. Whether designing a rollercoaster for a marble or building a car from recycled materials, campers apply creativity as they innovate, collaborate with peers in search of solutions, and gain confidence as they learn from set-backs. Summer Spark days are a careful balance between individual and group activity, and time for relaxation, reflection, and play. 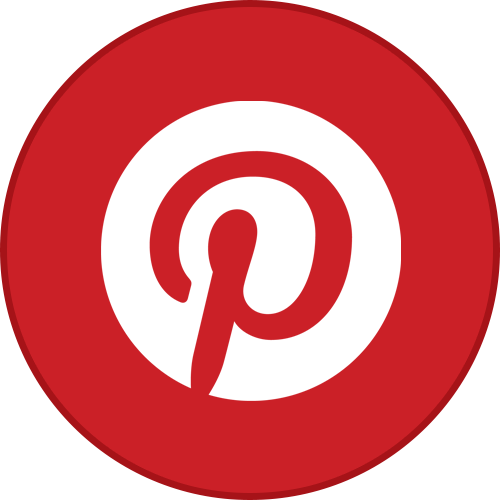 See what our families have to say: http://www.yelp.com/biz/summer-spark-austin. Students will enjoy daily dance, arts, crafts, tumbling, games and theatre activities. Our camps are taught by professional, experience staff and divided up by age and experience. Half Day, Full Day or Mini Camps in Musical Theatre, Acting, Singing, Visual Arts, Dance and more! Create a rewarding summer with new sessions beginning weekly at TexARTS in Lakeway, Texas – the Lake Travis nonprofit for the visual and performing arts! VentureLab is entrepreneurship education for kids. Our camps introduce students to entrepreneurship skills through specific technology topics such as video game design, maker skills, and more. Students learn what it means to extend their interests and passions outside the classroom as they solve real-world problems! Camps include Gamer, Maker, and Startup 101 and are available for children ages 5-13 (K-8). 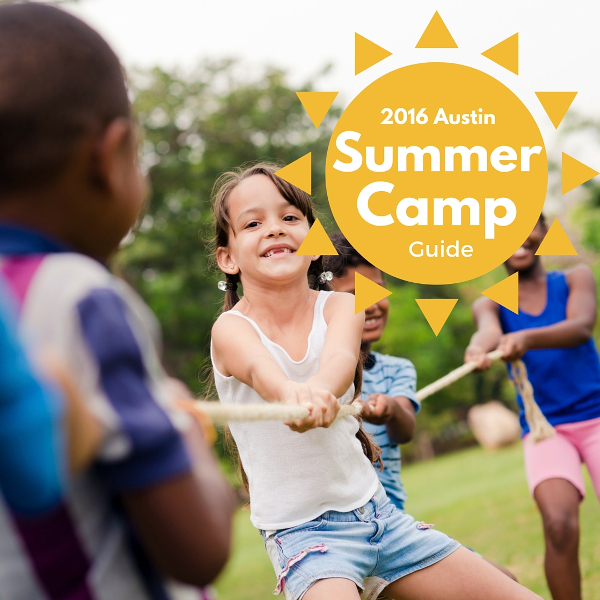 If you would like to include your camp in the 2016 Austin Summer Camp Guide, email Catherine@LiveMom.com for more information.